Basic PV installers with short-term training assemble solar modules, panels, or support structures; Identify methods for laying out, orienting, and mounting modules or arrays to ensure efficient installation; work in teams to install PV systems in accordance with codes and standards using drawings, schematics, and instructions; and apply weather sealing to array, building, or support mechanisms. Additional training in quality and safety assurance would support this advance. This move demands significant electrical and solar pv training; apprenticeship is a likely path. Entry-level installers typically have a high-school degree and construction experience; large firms offer in-house and on-the-job training. 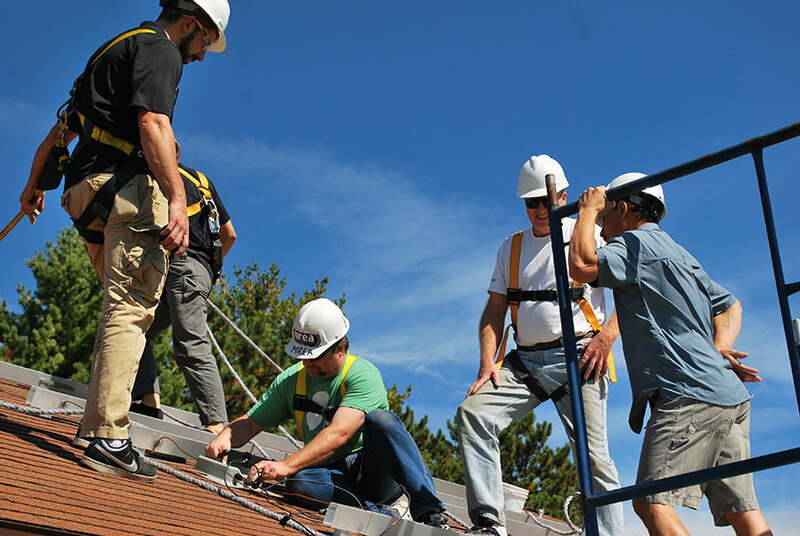 Advance beyond basic assembly and installation with a 2-year degree or electrical apprenticeship and solar certification.